Meghna Bhalla makes a fashionable appearance on Day 2 of the fashion week in a LBD by Tina Sareen top and Zara culottes. 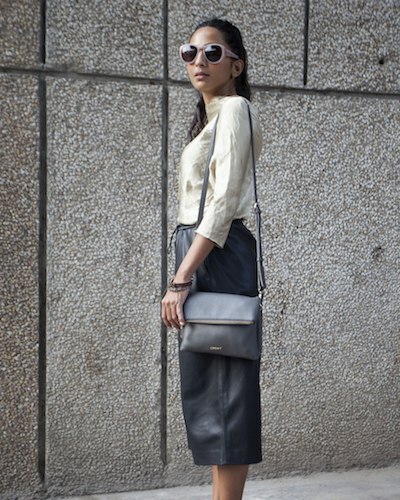 We love how chic this outfit looks with block sandals, a sling bag and those gorgeous Dries Van Noten sunglasses! For more street style from POPxo, check out our fabulous Instagram feed!